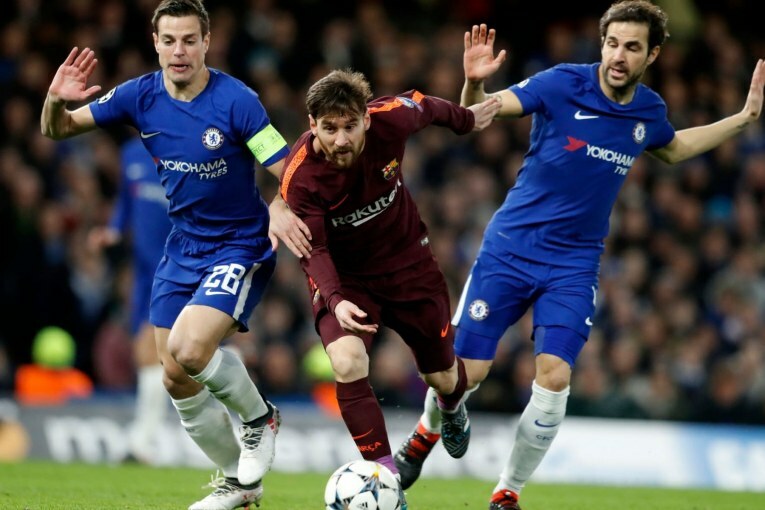 Lionel Messi finally ended his hoodoo against Chelsea as Barcelona battled back to earn a 1-1 draw in the first leg of their Champions League last-16 tie at Stamford Bridge on Tuesday. Both teams got a goal each as Willian was denied twice by the left and right post and neither keeper got seriously tested in the encounter. Messi punishes a mistake from the Blues as Barca takes home a valuable away goal. The Blaugrana bossed possession in the first half but they created very few chances and failed to get a shot on target while Anthony Conte’s side had better chances in the first half but the woodwork came to Barca’s rescue on two occasions as Willian hit both uprights.